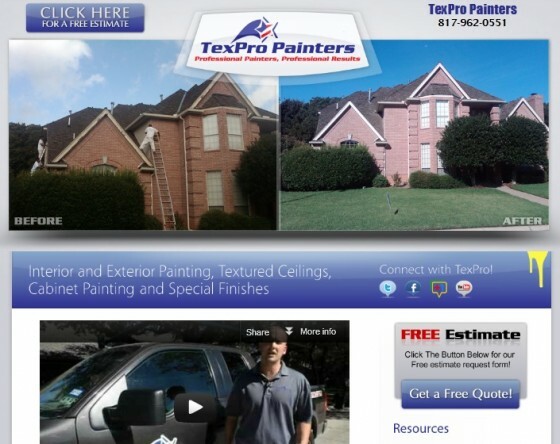 Tag Archives for " dallas painters "
We are very happy to announce new client, TexPro Painters, a professional painting company based in San Antonio, Texas. We love working with owner Derek Chambers (former Richmond native) who has been really supportive throughout the duration of the project. As you can see, the website clearly identifies with owner’s positive perspective. Likewise, it is consistent with company’s objective to be the number one choice for residential and commercial painting in the Dallas, Texas area.